Welcome to Harrissa health care …..
We introduce ourselves as a premier pharmaceutical company of India with years of experience in pharmaceutical formulations. Our Directors are visionary and social activists they sounded the company with a commitment to provide better health solutions to the masses under there guidance. We are a team of experienced and energetic young professionals who have the capacity to take up any challenging health issues and providing better solutions. Our compliant manufacturing units have been accepted and appreciated by the medical experts for their consistent quality and packaging. 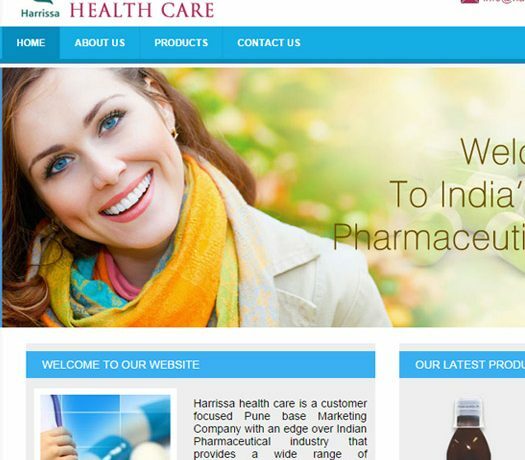 Harrissa is dedicated to introduce innovative, science-based products using our expertise and imagination in manufacturing and marketing with a goal to set a new standard in providing a healthy and productive life and creating a healthy India..
Our vision is to become the most valued pharmaceutical marketing company with a commitment to win our customer’s trust and loyalty and to become the biggest pharmaceutical hub in India.